The Trump administration's proposal would give states more authority to make their own plans for regulating greenhouse gas emissions from coal-fired power plants. That is a marked difference from Obama's plan, which aimed to curb climate change by moving the power sector away from coal and toward renewable energy sources, thus cutting carbon emissions from the nation's power plants by about one-third by 2030. "We're ending the intrusive EPA regulations that kill jobs," Trump said in a White House statement. He said that Obama's regulation would have raised the price of energy. Energy production is a major source of climate-altering greenhouse gases, according to the Environmental Protection Agency, topped only by the transportation sector. Earlier this month, the Trump administration moved to roll back Obama-era fuel economy standards for the nation's automakers that aimed to address those emissions as well. Trump and many in his administration have routinely dismissed the threat of climate change and questioned its cause, contradicting the federal government's own research. The Affordable Clean Energy Rule "would restore the rule of law and empower state to reduce greenhouse gas emissions and provide modern, reliable and affordable energy for all Americans," said Acting EPA Administrator Andrew Wheeler in a statement. Critics argue that it's Trump's latest attempt to play to his base and prop up an ailing coal industry. The proposal would "give the states the option to do just a little or absolutely nothing to reduce carbon pollution," says Gina McCarthy, who headed under EPA under Obama. "This is all about coal at all costs," she added. The Clean Power Plan that McCarthy advocated for never went into effect. Energy companies, industry groups and more than two dozen states challenged the regulation soon after it was announced, claiming it was an unlawful overreach by Obama's EPA. The Supreme Court put a stay on the Clean Power Plan in 2016, and the Trump administration later asked federal courts to stand down as it worked to rewrite the rule. Even without the regulation, the U.S. has seen a decline in carbon dioxide emissions from power plants, as growth in renewable energy and cheap natural gas have moved more energy providers away from coal and as states have stepped in with their own plans. A recent study suggests that the U.S. may still even meet the short-term emissions reductions required under the Paris climate agreement, which the U.S. plans to exit, because of those larger market trends. Still, environmentalists say the new proposal would be bad for public health. If it takes effect, "polluters can avoid making the large, life-saving reductions in smog and soot pollution that the Plan would have achieved," said Earthjustice President Trip Van Noppen in a statement. The Clean Power Plan had long been a top target of the Trump administration, which has moved to undo a host of Obama-era environmental rules. As a candidate, Donald Trump promised to end the so-called "war on coal" and repeal the regulation. Soon after taking office, he has signed an executive order to undo the rule and the Environmental Protection Agency moved to formally repeal it last October. 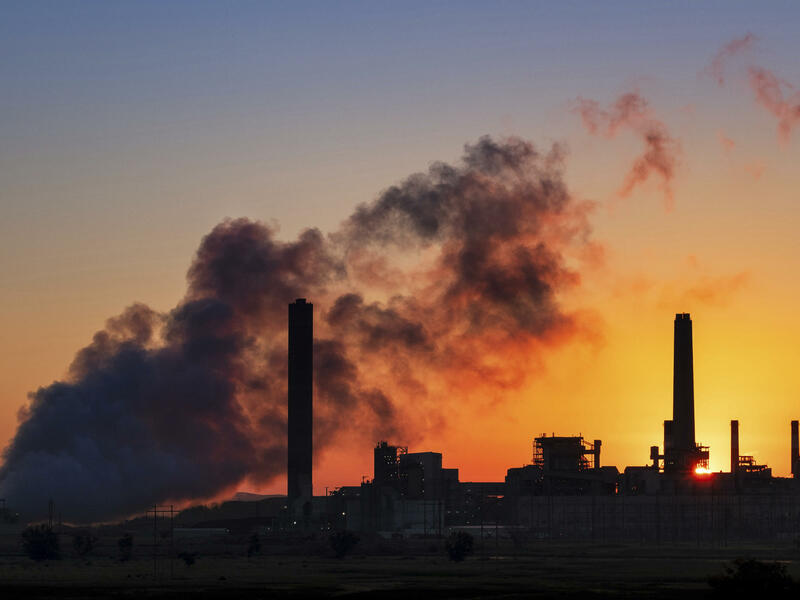 While some of the most vocal critics of the Clean Power Plan wanted to see the rule repealed outright, others are pleased to see the EPA offering a narrower replacement. A replacement, they argue, will be easier to defend in court than an outright repeal, thanks — in part — to the so-called "endangerment finding," a landmark determination by the EPA in 2009 that found that greenhouse gases are a threat to human health and welfare and are subject to regulation under the Clean Air Act. Scott Segal, a partner at the law firm Bracewell LLP who has spent much of his career representing and lobbying for energy companies, says that it's also beneficial for industry to have federal regulation on greenhouse gases. Without it, he says, companies would be more vulnerable to a growing number of climate change-related lawsuits. As it stands, Segal says, courts have indicated that litigants seeking damages from climate change have no standing because the federal government is regulating greenhouse gases. "If the federal government doesn't occupy the field of carbon regulation, then there's more reason for courts to allow these tort cases to stand up," Segal says.